Yes, I know that I have a flamingo addiction. If my memory serves me correctly, this is the second post I've done this spring/summer featuring flamingos, but they are so darn cute I just can't help it! 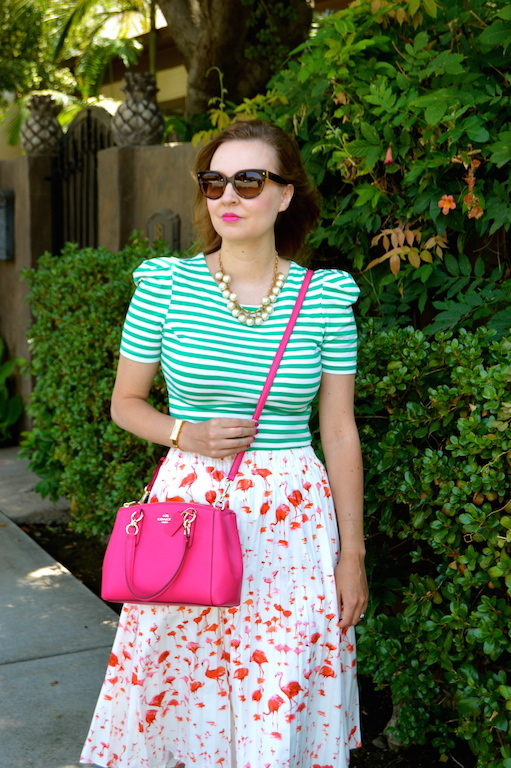 I purchased the blouse version of the flamingo skirt I am wearing today a couple of months ago, which you can see in my Watercolor Flamingos post. I didn't think that I would also buy the skirt, but when it popped up for an amazing price on J. Crew's website I couldn't resist. I almost didn't take the plunge because several reviews online described the texture of this skirt as being that of a shower curtain, but I figured the price was right and the print was cute so why not? I will have to say that the feel of the skirt is a little odd and perhaps slightly reminiscent of a shower curtain, however the reason for this, according to the website, is apparently to keep the pleats in place so that you don't have to iron it. As someone who hates to iron, I am willing to trade off a slightly odd material choice for the luxury of me being lazy and avoiding the unpleasant task of ironing! I am glad this skirt worked out for you. I had to return it, the pleats were to stiff and it looked awful on me. I love all things flamingo too! This skirt is gorgeous! You did an amazing job in mixing these two unexpected prints. I love the bright green and pink together. So fun for summer! I'm so with you--I'll take a weird material if it means no ironing! Ironing is the worst. Love this look and I think the skirt was a great purchase. 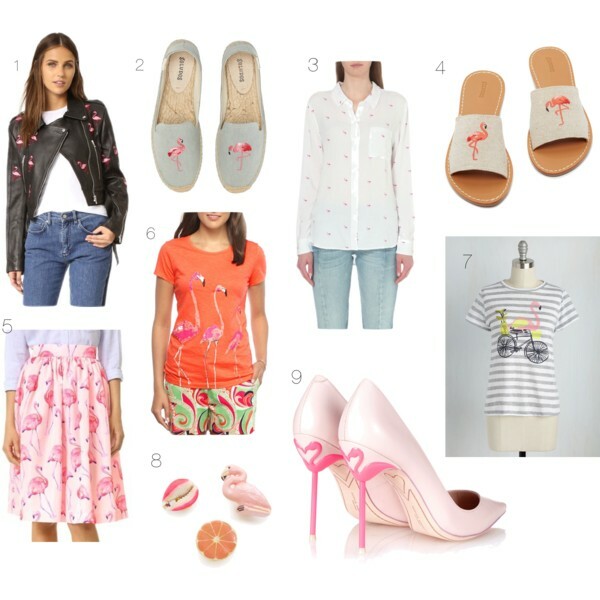 I also love that cute button up and flamingo + bicycle tee in your collage! No ironing??? Sign me up! You had me laughing though at shower curtain. I love how you've paired it with a tee with a slightly puffed shoulder seam - you pattern mix with such ease. A fun look for summer. That skirt is just the cutest & love how you styled this look, so pretty! 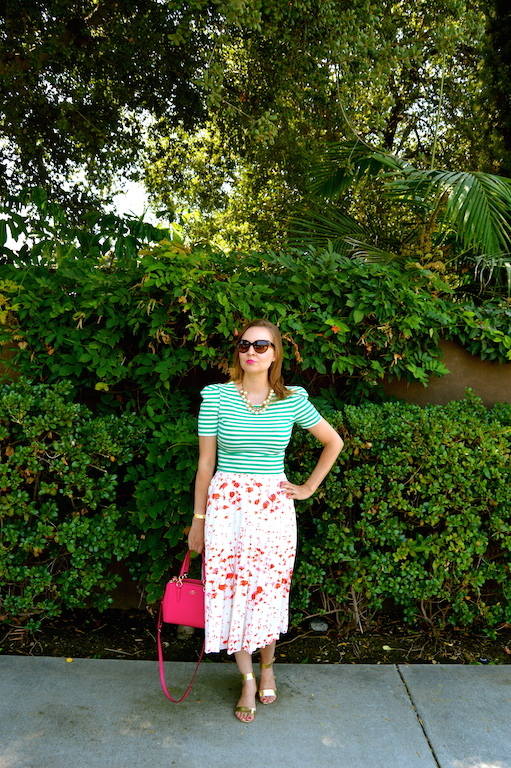 I just got a flamingo case and tee, but now I think I NEED that skirt! And the loafers are so cute too! Great flamingo items - LOVE my flamingos! Too bad that skirt on Shop Bop is over $200 - it's too adorable! 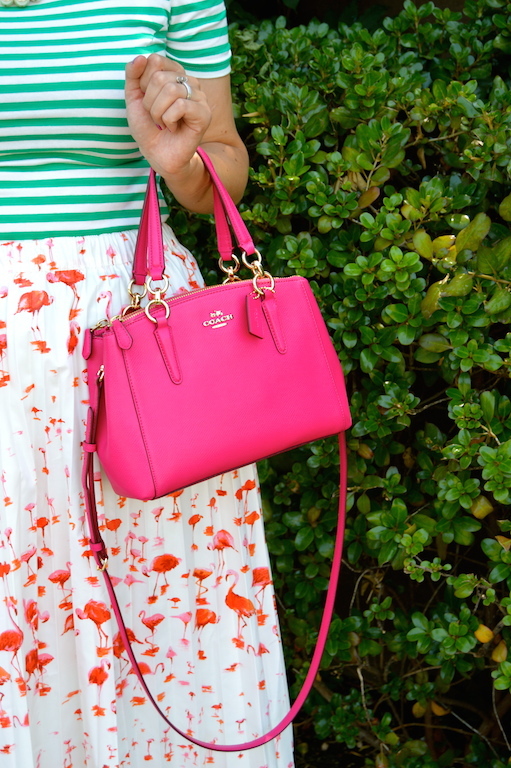 That is such a fun skirt, I'd love to partake in the flamingo trend! Adores and the skirt is so Pretty!! Your skirt is adorable! 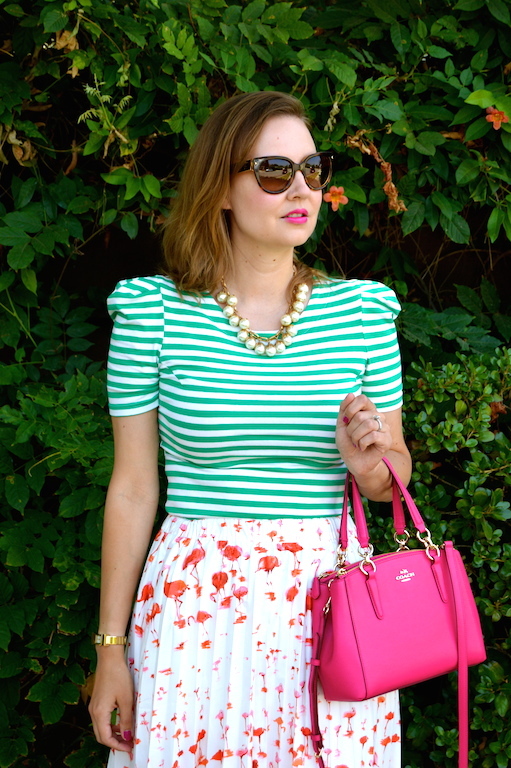 I love this color combo and fun look! Flamingos are so cute! I remember when I was a Blue Bird (like a girl scout) and we all had to pick bird names, I picked flamingo! Totally adorable as always, Katie! Gorgeous! 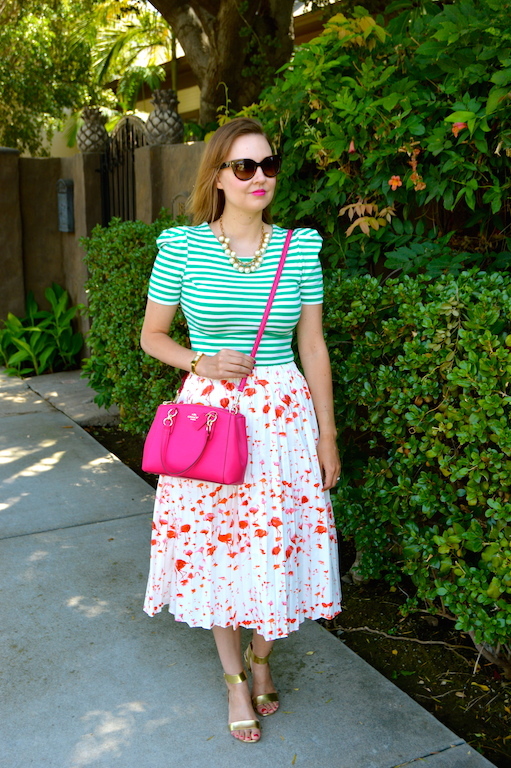 I love the flamingo skirt with that top! And you can NEVER have too many flamingos! This is just too cute! The shower curtain thing is hilarious. I am loving the mix here.